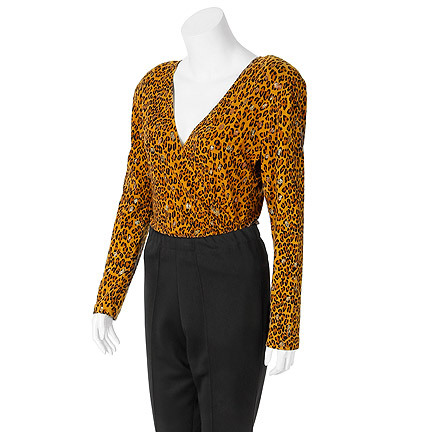 This costume was worn by “Peg Bundy” portrayed by actress Katey Sagal in the television series “Married… with Children”. 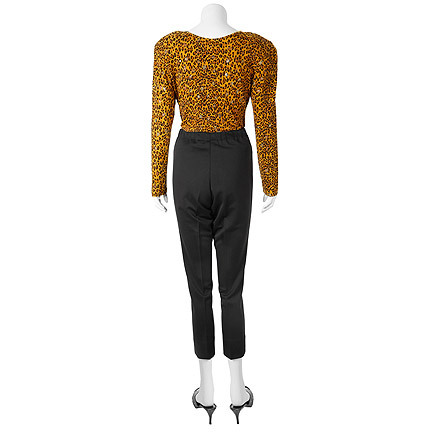 This outfit includes a custom made long sleeve faux cheetah print wrap top with padded shoulders, black spandex capris, and heels by Jean-Claude painted black. 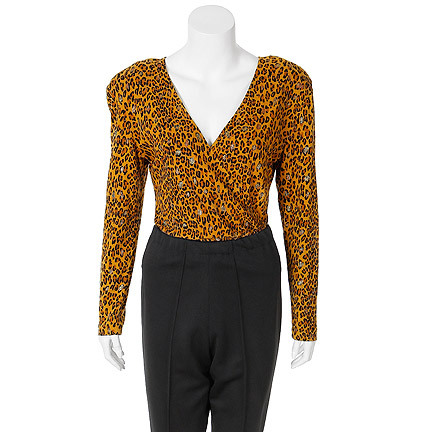 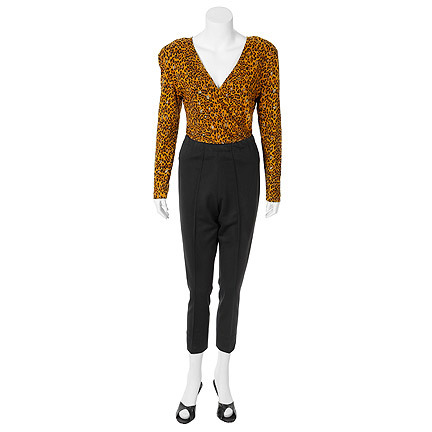 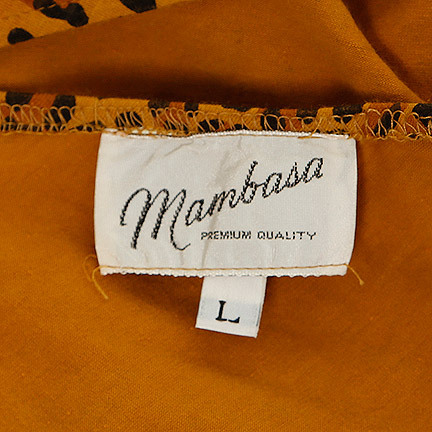 Mrs. Sagal wore this top in Season 4 Episode 8 "976-SHOE", when her husband "Al's" (Ed O'Neill) starts a shoe delivery hotline with their neighbor "Steve" (David Garrison) who invests $50,000 to start the business. 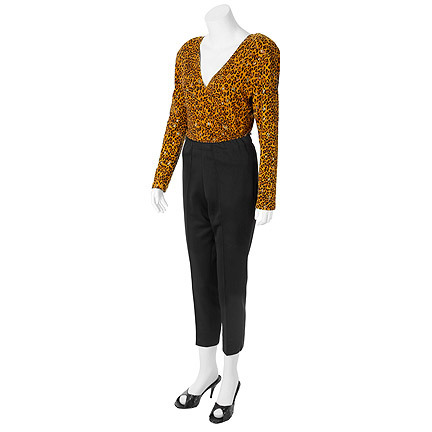 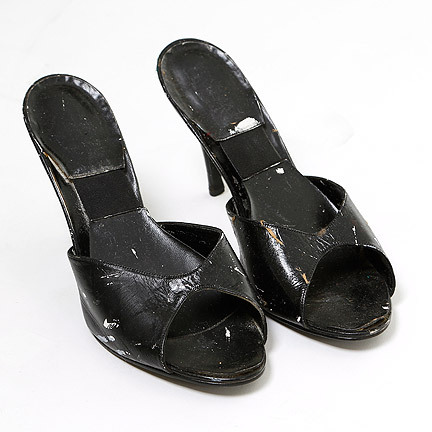 The black capris can be seen throughout the series, and are a classic addition to this iconic outfit. 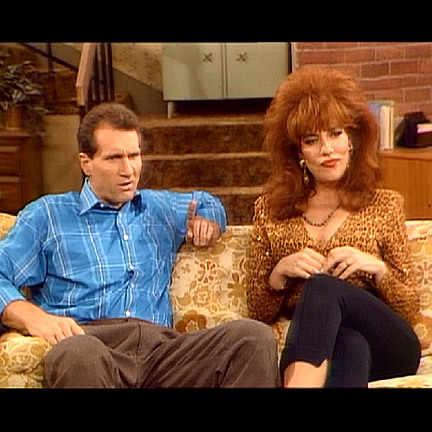 Married… with Children was an American sitcom broadcasted on Fox from 1987 through 1997. 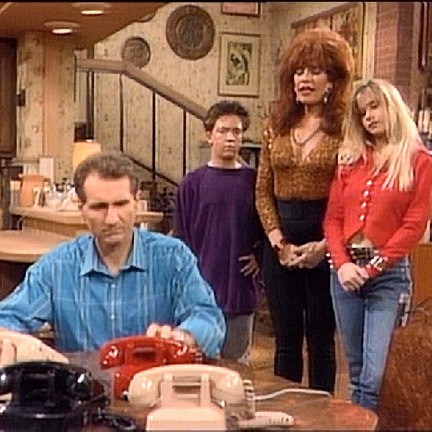 The series revolves around the lives of a dysfunctional family living in the suburbs of Chicago. 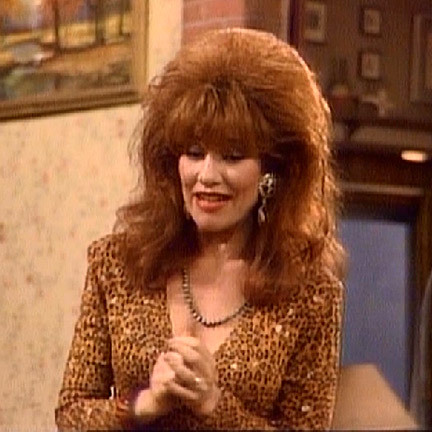 Married... with Children is widely regarded to be a cult classic, and its 11 season, 262 episode run makes it the longest lasting live-action sitcom on Fox. 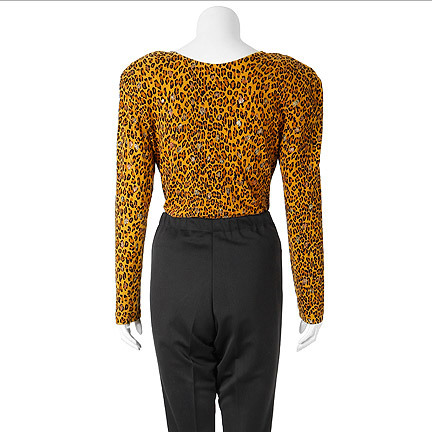 These items are in excellent screen worn condition and are accompanied by a letter of authenticity.